Our Food Hygiene course – Food Safety Level 2 – covers all the basics on food preparation, regulations, precautions and care when preparing food for others. 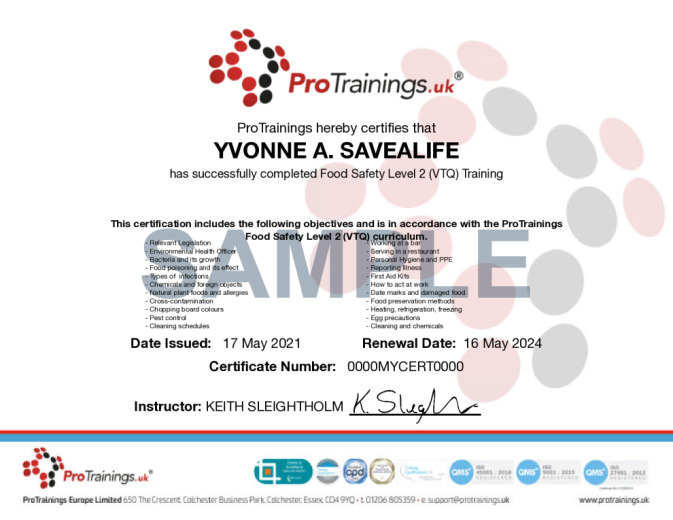 It is designed to meet the requirements of various regulations in food preparation and health and safety. The course covers regulations, preparation, storage, infections, cross contamination, reporting, PPE, date marks, reporting illness and basic first aid in the kitchen. To purchase the course please click HERE.